According to an interview on TheNews, Nigerian Senators receive N13.5m monthly, apart from their salaries. In an interview Senator Shehu Sani, representing Kaduna had with TheNews, Mr. Sani said: "I think what we can say is that the running cost of a Senator is N13.5million every month"
He further explains that the money though is each Senator is expected to provide receipts of what the money was spent on, although there are no specification on what the money should be spent on. "But what I am saying is that that money (13.5m) must be receipted for what you do with it, But what you are given to go and spend without accountability is N750,000." The Senators also spole on the much derided and debated constituenvy fund. "The constituency project itself is given on a zonal basis and almost every Senator will go with a constituency fund of about N200million, but it is not the cash that will be giving to you. "You will be told that you have N200milion with an agency of government for which you will now submit projects equivalent to that amount. And it is that agency of government that will go and do those project for you." "Now the corruption comes when the projects are not done and the money is taken. But right now, it is difficult to do that because NGO's and transparency groups have come into it. They track every allocation made to you and where they are being used. Senator Sani also said he would like a situation whereby all of these extra expenses were discarded. "But I can tell you that I would love a situation where we do away with running costs, constituency projects and leave senators and members of House of Reps. with salaries." "When people are elected into the National Assmblies, they should just be involved in law making, raising motions, bills and also performing oversight functions. But we live in a society where people cannot differentiate between the legislators and the executive." 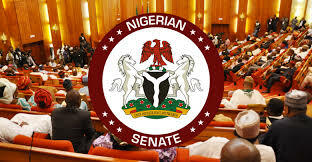 This is the first time Nigerians will get a first hand knowledge of how much is been paid to the Senators each month, or even the amount allocated for constiituency projects.